Broadway voice lessons focus on the different ranges of the voice, control, tone, repertoire and performance. I've been teaching this style for about ten years now and absolutely LOVE the singing AND acting combination that it entails. Each students' curriculum is customized to the goals we set together. I feel that students should not be put into a box, vocal or otherwise. Loretta delivers an exceptional lesson experience and ranks in the top 15% of our teachers nationwide. I have always been fascinated with how music is created and who works behind the scenes of performances and recordings. I started playing the flute in elementary school, piano in junior high school, and singing in high school. Once I got to UMASS, Dartmouth I chose the Music option for my major. I then moved on to NYU. I have been teaching for over ten years now. Working with students both in person and online has been amazing. With online lessons I am able to work with students who love the convenience of being at home and in person I can show students what it is like to really grow! I love my students of all ages, and can only hope to show others how amazing music can be. I have worked with a handful of students with special needs and am comfortable teaching in a non-traditional style. I am currently preparing to complete my certification in music therapy. Those who can do teach, and those who can teach totally do! You will set the pace for your lesson. I want you to enjoy your time in music, so your lessons will be completely customized. We will develop a goal plan for you so that our time together is interesting, fun, and we make progress! In 3-6 months, you will have a stable technical program and have started a portfolio of music for performances, no matter what level you are. We can share sheet music in person or online (I can even email you great links to amazing performances). Just let me know where you want to be in music, and we'll work together to make it happen. I can't wait to meet you! First - YOU MUST HAVE YOUR OWN INSTRUMENT FOR PRACTICE AT HOME BEFORE BEGINNING LESSONS!!! Consistency is very important for learning, and weekly lessons ARE NOT enough for growth. My home studio is in a private music room. Parents can relax in our family space with coffee or tea and enjoy their children's learning at their leisure. My studio includes a 88-key keyboard, technology setup with an iMac, microphone and stand, a mirror for posture and musical instruments. I carry books for the lessons themselves (not for practice at home), and we can download or print out music as desired. If you take lessons online, I can email you links and sheet music as needed. Feel free to bring any additional equipment music you would like to share. I have some great recommendations for music books designed for both children and adult learners. Instruction, social emotional learning, and program design for an all-girls choir. Instruction in composition and audio production. Classes in audio technology, listening and analysis, audio recording, music theory, music business, and live sound reinforcement for college students who want to become music producers and engineers. Lessons in flute, piano, voice and audio technology. Flute instruction for Ravinia's youth orchestra. Specializing in student driven interactive learning. "Independent student-driven education, supported by the latest technology and cognitive science, to help each student master core skills, discover and develop his or her talents and gifts, and establish a learning trajectory they will never outgrow." Specializes in music and the performing arts. Classes in flute, piano, and voice for students of all ages. Running the music department of In Sync Center of the Arts, which involves administration, management of all music staff, and production of concerts. Lessons in flute, piano, and voice. Engineered and produce Sound-A-Like albums for aspiring students. Production Assistant for the recording department of New York University, specializing in audio engineering, studio setup and breakdown, activities logging, and product management. Session and stage musician for final projects of composition major, Jodi Humphreys. Engineer for campus concerts and events. Certified in designing interactive educational projects. This opens up the floor to transforming education from rote memorization to solving problems in real world scenarios. Style of teaching voice that focuses on how the body creates sound and how to manage that sound for all genres of music. AMTA's purpose is the progressive development of the therapeutic use of music in rehabilitation, special education, and community settings. Predecessors, unified in 1998, included the National Association for Music Therapy founded in 1950 and the American Association for Music Therapy founded in 1971. AMTA is committed to the advancement of education, training, professional standards, credentials, and research in support of the music therapy profession. The College Music Society promotes music teaching and learning, musical creativity and expression, research and dialogue, and diversity and interdisciplinary interaction. A consortium of college, conservatory, university, and independent musicians and scholars interested in all disciplines of music, the Society provides leadership and serves as an agent of change by addressing concerns facing music in higher education. Duets on a lovely Friday afternoon. We always love playing learning games in the studio. 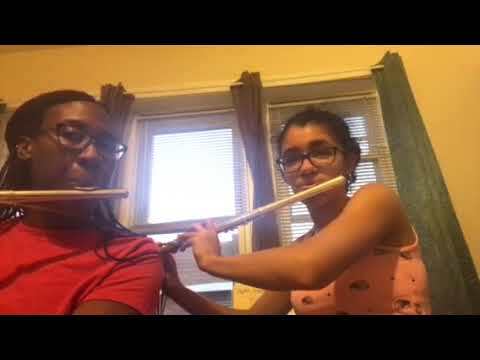 This is one of my flute students and I trading measures. Isabella Scott and teacher Loretta Medeiros pose at the spring recital on Sunday, May 23, 2010, at Matt's Music Center in Quincy. Performance in Kalamazoo, MI with internationally recognized bassist, Aaron Tully. Enjoy lessons online from the comfort of your own home! Opening the December 2013 Holiday Concert as Director of Music with "Where Are You Christmas" at In Sync Center of the arts in Quincy, MA. Never forget your original music teacher! Barry DeRossi of DeRossi Music School in New Bedford, MA. Performing "Black Coffee" at the CCM Vocal Pedagogy Institute at Shenandoah Conservatory in Winchester, VA. Being silly at auditions in Boston! Teaching recording studio mic placement at AI, Chicago. Winter recital at Matt's Music! Coffee with my NYU voice teacher, Michelle Rosen. Boston Voice teachers unite! Marcelle Gauvin and Kelsey Jacobsen. Computer Music Composition Concert at NYU. Somatic VoiceworkTM, the LoVetri Method Certification in VA.
Wow! What an awesome individual. Loretta's approach to vocal training is both creative and inspiring! Loretta is amazing! I had my first session and we clicked instantly. Looking forward to a long term training. She works off of the students goals. She makes sure the student know WHY they are doing what they are doing. Also, and more importantly, she makes the process fun for everyday. So intelligent, passionate, warm and friendly! I learned so much just in my first hour, and I have been taking lessons around the city for a long time now. Highly reccomended! I have participated in Loretta's TakeLessons online Live group classes recently and I have not been disappointed. Loretta takes her time to introduce new material and ensures that her students understand the material. She is very easy going and demonstrates the skill set of what a pianist should be able to do. I would highly recommend Loretta as a private teacher or recommend her TakeLessons Live group classes. Loretta is an amazing teacher! She makes it a joy to study music theory and piano. Loretta has been a very patient and open-minded voice teacher. She uses a holistic approach, listening to student needs and fears while continually, gently encouraging growth. I've never felt uncomfortable with her style of feedback and her approach has really helped me to find and unlock my voice. She was really nice and very supportive! Can't wait for the next lesson. Lizzie really enjoyed her first lesson with Loretta! First lesson - thoroughly impressed. Loretta made me feel very comfortable. I can tell right away she is an excellent teacher! I look forward to our future lessons. My daughter enjoys her time with Loretta and im seeing her improvement. Absolutely wonderful experience for my 9 year old. Perfect! Just what I need. we spent most of the lesson getting to know each other and our musical background/interests and discussed my goals for taking lessons. loretta is a kind soul and with a very knowledgable music mind. she is an incredible match for my wants and needs. if you have interest in writing your own music or find your passion for learning an instrument is more about learning a new language of expression loretta would be a perfect instructor for you. i took lessons as a child and for me the experience was dull and created a distance between me and the instrument that lasted for almost two decades. so far my experience with loretta has been the polar opposite of what learning a child was for me. this is exactly what i was looking for. Loretta is a wonderful teacher: a real pro in music and everything I could have ask for. She is as well very personable and caring. My 11-year-old absolutely loves Miss Loretta. She's enthusiastic, patient, encouraging and makes learning music fun. My daughter looks forward to her weekly lesson and learning something new. If my daughter brings a piece she wants to learn, Loretta finds a way to fit it in. It's clear that Loretta loves teaching and is a natural at it. We feel lucky to have found her. In my last lesson, Loretta helped me work through a major misconception about myself. I did not believe that my voice sounded good in falsetto - so I didn't practice it, lowered my expectations, and generally created a self-defeating barrier.. The transformation in learning to love what's coming out of my pipes is more than just voice-deep. Now I believe there are new lands I can conquer! Thank you for helping me to love my upper register Loretta! After only a couple of lessons I can tell that Loretta is a well rounded teacher. As a flute instructor she is better than what I could have imaged. Loretta is such an amazing teacher. She makes the lesson fun and always tries to better you! The knows all kinds of techniques to help your voice, its amazing! I recently had to stop her classes only because I didn't have time with my school and work schedule! However once school ends I am going to continue our lessons back up! I have already recommend her to people I know! She is not only and amazing teacher but also such a sweet and caring person! Thank you for teaching me! Loretta has the tools and style to get it done for voice lessons. If you play an instrument she can help you sing and play at once and deal with those challenges. She can start with the material you are already working on, and I saw considerable differences after the first lesson. Can't wait for more ! Loretta is an awesome music teacher. She is fun, patient, and encouraging and has such a love of music and a gift for imparting her knowledge to her students, even her youngest ones. My 10-year-old son has been taking voice lessons with Loretta for about a year now. His lesson is usually the highlight of his week. He really likes it that Loretta always lets him choose the songs he learns to sing. A couple months ago, we added piano to his lessons, which my son really enjoys. Just a couple weeks ago, he joined his school band and is now learning to play saxophone. He has been able to apply so much of what Loretta has taught him on piano to his saxophone lessons. 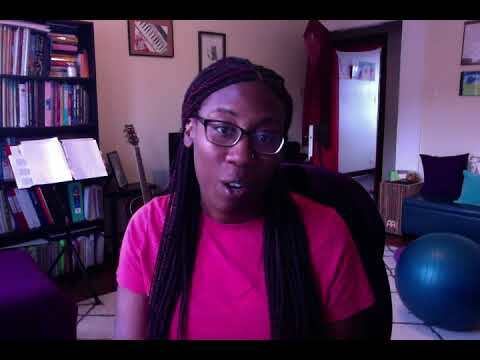 We started out taking lessons in Loretta's home studio, but then transitioned to Skype, which is very convenient because it eliminates travel time. I recommend either live or Skype lessons with Loretta. She is the best! I take music theory lessons with Loretta. I have taken music theory before with 3 other teachers . None of them make it as simple as she does. She explains it in a way that I can understand. I love her and will recommend her to anyone that wants to learn music in general. She is amazing. Can't wait to learn more from this brilliant, professional, musician! Loretta is clearly an experienced music professional. She has an excellent attitude and a true desire to give students the gift of music making, on whatever level they are looking for. Speaking as a former music teacher myself (different instrument), I can see that she is flexible in her approach and tailors her lessons to each unique student. I give her a 10 out of 10! I would recommend her to anyone. 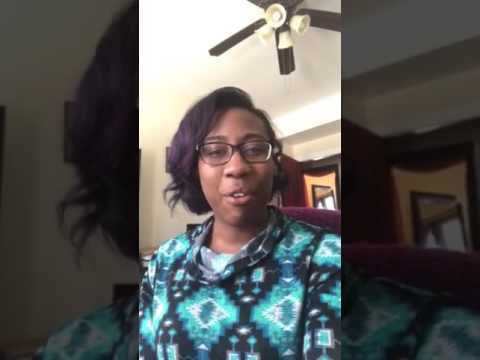 The singing lessons are actually for my little sister, Darshae, We didn't know what to expect with Loretta but it wasn't long from meeting her that we felt a sense of safety. She is a nice woman with a warm heart and her level of singing talent is grand. If my sister has any questions, they are answered with respect and never shot down. I recommend her to anyone looking for lessons of all variety not because she is a professional and knows what she is doing. But because she makes going fun and that is an important quality for the teacher and the student. Cool teacher,very patient and knows her musical stuff. I am learning alot with Loretta. I still want to continue taking the singing lessons. I believe I have learned alot is just short period of time.